Yetunde: An Ode to My Mother by Segilola Salami is a beautiful tribute to all mothers told from the viewpoint of a young girl, and it highlights the mother/daughter bond beautifully. Yetunde can speak both Yoruba and English. Today her mother is looking very sad and Yetunde cannot understand the reason. She tells Yetunde about her own mother and recites a poem called Oriki Iya to her, which is dedicated to mothers. The conversation between Yetunde and her mother displays some profound and insightful moments. The book has good messages for young readers and the concept is unique and original. The author also speaks about the love of a mother, and how they fight for the safety of their kids and protect them from danger. The book also highlights the importance of water through the story, blending it well with the plot. The illustrations are bright and colorful and capture the concept of the story nicely. It's a good bedtime storybook and parents and grandparents should read it out to their kids and grandkids. The story is also good for read aloud sessions in classrooms and school libraries. The power of a mother's love and the messages make it a must-read for children. 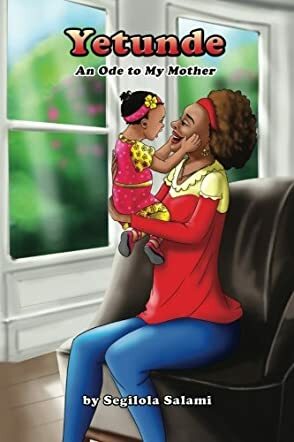 The book also exposes young readers to a new culture and makes them understand the importance of the comfort, encouragement, and emotional support a mother can give.